“Too many of us ladies went to great pains to be attractive to hook the man of our dreams and then, once we reeled him, we let our looks drift out to sea. Unfortunately, when our personal appearance runs amuck on the shores of complacency and laziness, so do our marriages.” (Becoming the Woman of His dreams By Sharon Jaynes). This is one topic most of us don’t like to discuss: the importance of staying physically attractive for our spouse. There are so many stereotypes out there of what men want women to look like, that it’s easy to end up feeling like there is no point in trying because most women are never going to look like a super model or the seductive woman on the front of the magazine. The good thing is, your man chose you, which means he likes how you looked. I don’t need to look like a super star; I just need to work to keep resembling the girl that my husband fell head over heels for. I have written about the importance of this before and I have even written about all the excuses we use to get out of exercising, but the truth is… I have been struggling in this area lately. I’m not sure even when it really started, or why I am so unmotivated. I like to work out with my husband and that hasn’t been happening. I like doing P90x, but an hour or more a day seems like so much right now. My schedule has been crazy and I feel like I am trying to accomplish more right now than I ever have in my life and to spend time exercising just isn’t worth it. It’s getting hot and humid and it can be so much work to control my curly hair from going everywhere and it is so much easier to just pull it back and forget about it even though he prefers it to be down. And, Pepsi just tastes so stinkin’ good! Was that enough whining and excuse making for you? The truth is, I have gotten lazy and I am paying for it and my husband is paying for it. My scale has been broken for months (or the batteries are out, I’m not really sure) and I haven’t been in a hurry to replace it, but I have a growing suspicion that the number that would show on it is very close to the number that I never wanted to see on it again. My pants are tighter, my shirts are tighter, my tummy is bigger, the backs of my arms are getting flabby, and my love handles (what a stupid name) have returned. I am feeling worse about myself and that is punishing my husband as well. I know that staying fit is important to my husband. He likes to be healthy and strong and fitness is important to him. He has made me aware of the fact that when I stay in shape it shows him that I am loving and respecting him in this area. When I have been exercising and my body is a little tighter I don’t mind letting my husband enjoy it more. When my stomach feels loose and my sides are flabby I slap his hand away when he tries to touch them because it makes me feel bad. He ends up feeling rejected, but really it was just because I don’t want to be reminded of my extra flab when I feel him touch it. Is this his fault? Nope, it’s mine! I have been lazy and complacent. I feel better about myself when I am exercising. I have more energy and when I am in better shape I have more confidence and I make life more enjoyable for myself and my husband. I’m going to exercise at least 30 minutes 5 times a week. I am not going to drink more than 3 pops (soda or whatever you call it in your region) in a week. I am going to report each Monday on how I did the previous week. 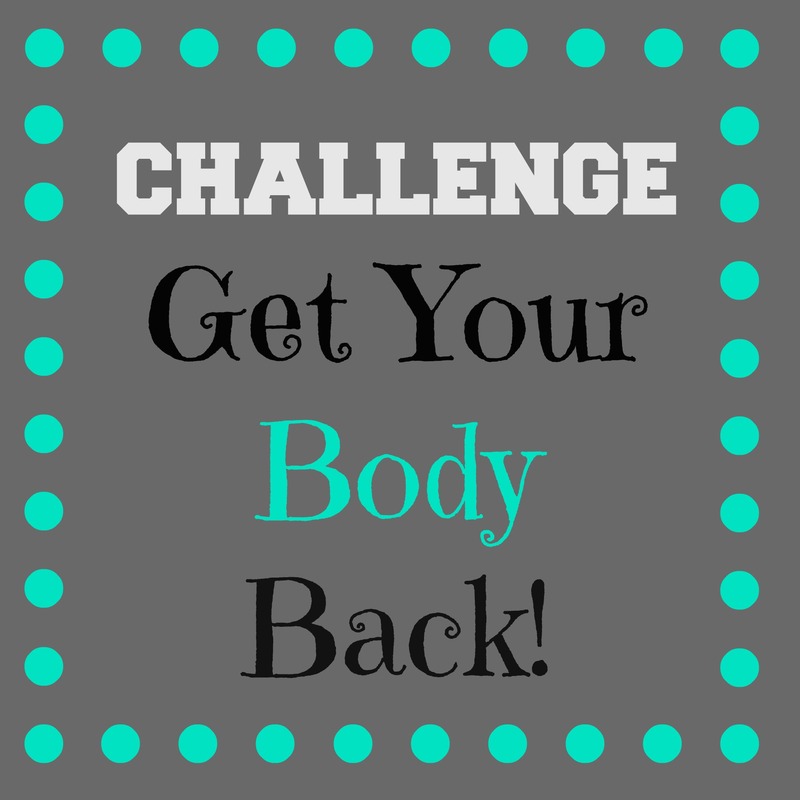 I want to challenge you to commit to this 90 day challenge and stop by each Monday to comment on your progress. You don’t need to share your weight or size, just your goal and your progress. Let’s work to keep each other motivated and going until we reach our goals! *I also want to drink at least 4 glasses of water a day. I know it’s sad, but I hate drinking water! I am not setting a weight goal because it is much more important to me that I feel better about my body and not that I lose a certain amount of pounds. I have taken my measurement goals from measurements I had recorded when I was feeling healthy, confident, and strong. You can set your goals any way that you want. The only thing that I would like to recommend is that you set realistic goals, but ones that still challenge you. I actually was setting lower goals originally and then went back and bumped them up a little. I’ve played the game before of setting a vacation deadline to hit a goal weight and then spending the last two weeks only eating the necessary amount of food to make it through the day so I could hit my goal weight. The result of this was making my goal weight, but then gaining some of the extra weight back right away when I started eating like normal again. The goal of this challenge is not just to lose weight or get in shape, but to feel better about yourself and to let that change be something that your husband can enjoy. So, PLEASE, come and join me in this challenge. If you are in, subscribe to the blog and let me know if the comment section below that you want to be part of the challenge. I love that you aren’t trying to lose a set amount of weight. Great! I am attempting to lose the “food baby” that has taken my “baby belly”‘s place. I hit the treadmill at least 4 days a week. Drinking more water is hard for me too, but I am trying. Thanks for your comment Ashley! Sometimes I wish I had a treadmill, but when I did have one I never used it!